What happens when an established, multinational manufacturer joins forces with the industry's most modern cloud commerce platform? The numbers are the ending to an extraordinary business story. 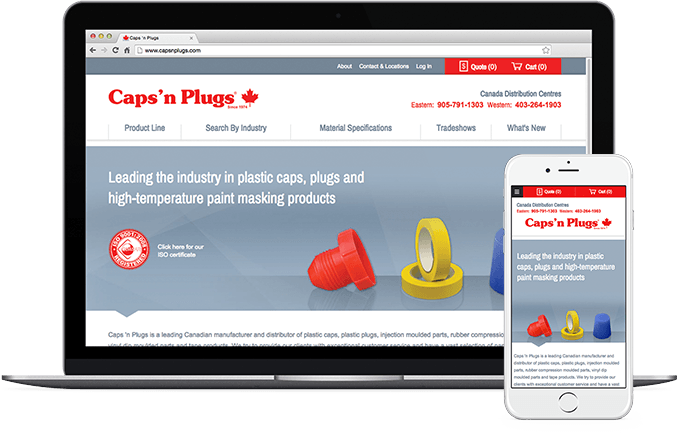 Caps ‘n Plugs is an established name in the world of product protection. 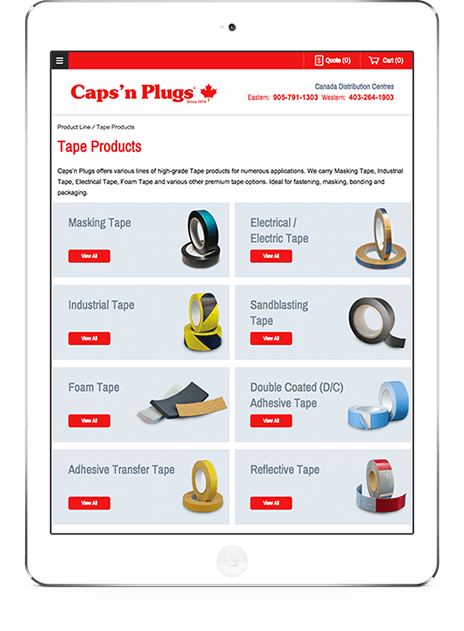 Serving the U.S. and Canada, Caps ’n Plugs manufactures plastic caps, plugs, netting and masking devices. They also make and merchandise molded components to the HVAC, automotive, hydraulics, painting, electronics, exercise, toy, metal fabrication, oil, and aerospace industries. "Mozu helped us to modernize the way we run our B2B business and make a positive impact to our bottom line." The Caps ’n Plugs team realized their business had hit a ceiling and needed new technology to support their growth. Their digital experience was built on an outmoded homegrown system that resulted in laborious management of business operations. Mozu gave Caps ’n Plugs the modern platform they needed to support their current B2B business and grow with them while expanding their online sales. Now their marketing teams have the power to quickly deliver modern procurement experiences—without developer assistance. 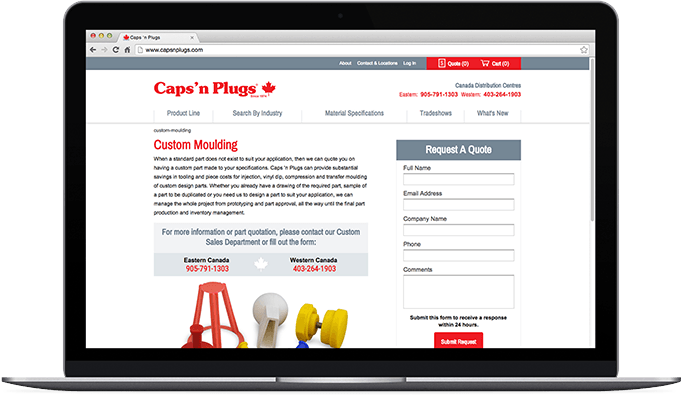 Mozu’s open architecture allowed Caps ‘n Plugs to implement customized buying experiences, including Request a Quote and Request a Free Sample.